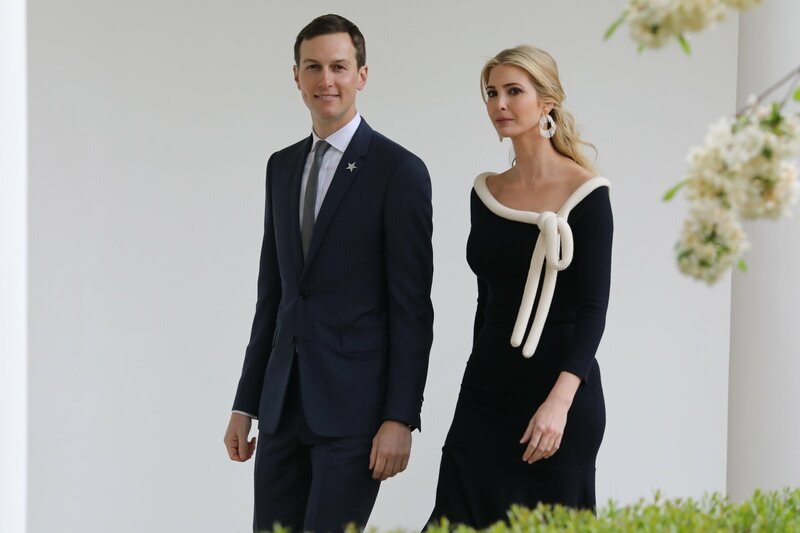 Ivanka Trump has been first daughter of the U.S. for about three months, an unofficial job that had her doing everything from attending a Broadway show with Canadian Prime Minister Justin Trudeau to organizing a secret meeting with Planned Parenthood. But she's only just about to finish her first month as a formal White House employee. Related: Do Ivanka Trump and Jared Kushner Have Too Much Power? Trump became an unpaid special assistant to the president in late March. In the weeks since, American politics has seen a lot: a struggle in Congress over repealing the Affordable Care Act, a ratcheting-up of tensions with North Korea, an election in Georgia, fluctuating approval ratings for the president, the confirmation of Supreme Court Justice Neil Gorsuch and more. And although she may not have been involved everything, Trump has been busy, on Friday welcoming a recently freed hostage to the U.S. and preparing for her first official international trip to Germany. To help you keep up, here's a timeline of what she's accomplished in office so far. March 29: The New York Times reports that Trump is officially a government employee, with an office, security clearance and tech devices. 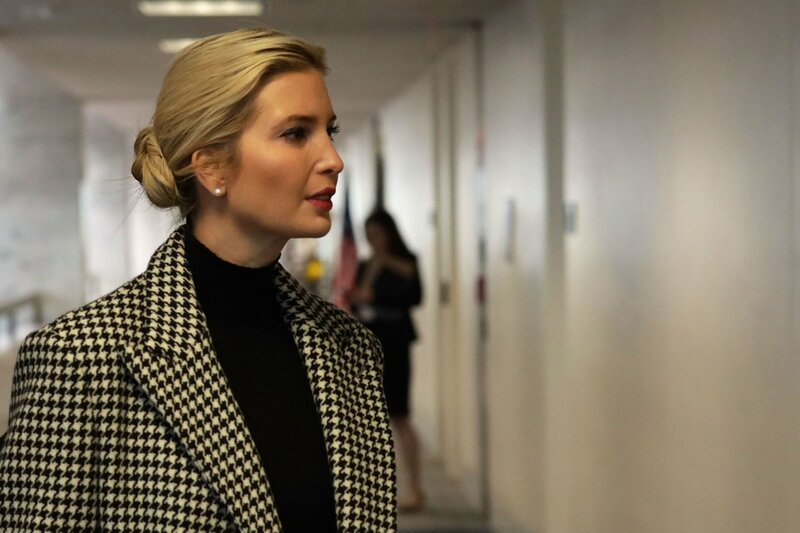 "I have heard the concerns some have with my advising the president in my personal capacity while voluntarily complying with all ethics rules, and I will instead serve as an unpaid employee in the White House Office, subject to all of the same rules as other federal employees," she says in a statement. "Throughout this process I have been working closely and in good faith with the White House counsel and my personal counsel to address the unprecedented nature of my role." April 4: At a CEO town hall, she talks about workforce development, education, female empowerment, job creation and equal pay, according to pool reports. She also tweets about Equal Pay Day, writing that it's "a reminder women deserve equal pay for equal work." That same day, Trump's first TV interview as a White House employee airs. She tells Gayle King "not to conflate lack of public denouncement with silence" on issues like Planned Parenthood funding. April 5: In the wake of the sarin chemical attack in Syria that killed more than 80 people, she tweets that she's "heartbroken and outraged." She also sits in the front row of a joint press conference featuring her father and Jordanian King Abdullah II. April 7: She tweets in support of her dad's decision to authorize an airstrike on Syria. "The times we are living in call for difficult decisions," she adds. 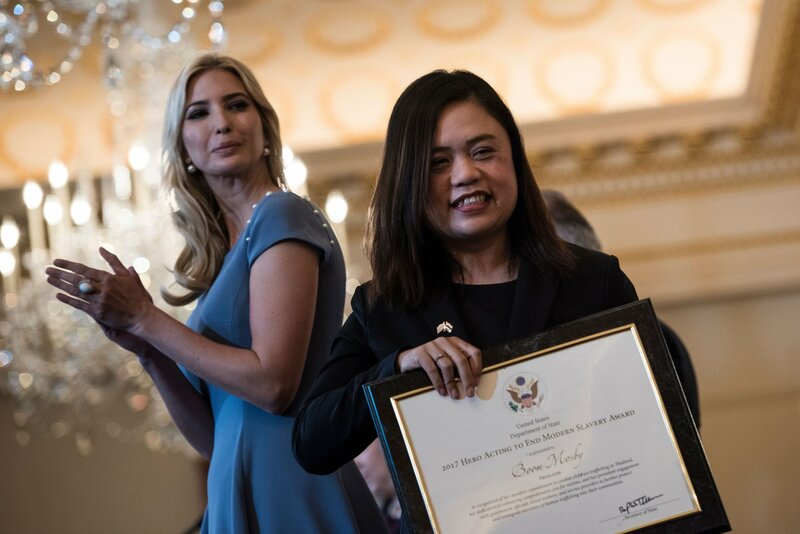 She also watches as Arabella and Joseph, two of her children, perform for President Xi Jinping and Madame Peng Liyuan at Mar-a-Lago. She'll later post a picture with the Chinese couple, her dad and first lady Melania Trump. April 10: Ivanka Trump tweets Labor Department data about working women. April 11: Her brother, Eric Trump, confirms that she shaped the president's choice to bomb Syria after the chemical attack. 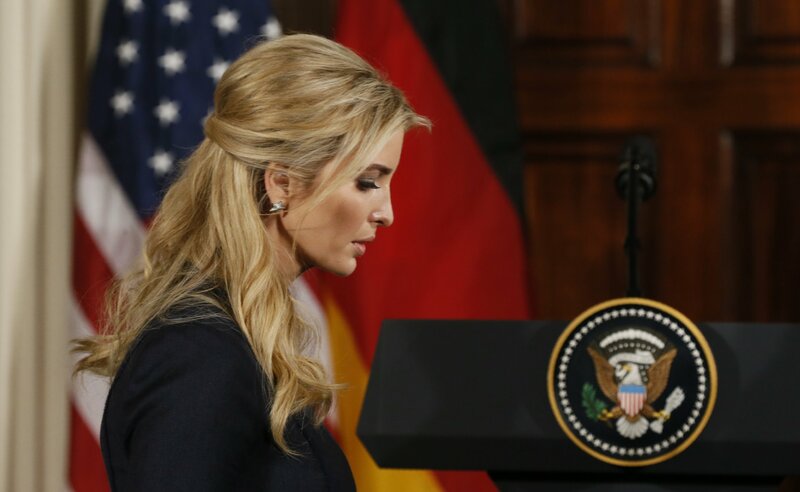 "Ivanka is a mother of three kids and she has influence. I’m sure she said, 'Listen, this is horrible stuff,'" he tells the Telegraph. "My father will act in times like that." April 13: She recognizes National Library Week. April 16: She tweets that she's "very excited to see new partnerships developing in support of apprenticeships in STEM fields." April 20: Her upcoming trip to Germany is announced. She'll participate in the W20 Summit in Berlin as the guest of Chancellor Angela Merkel and also visit the embassy, Siemens Technik Akademie and the Memorial to the Murdered Jews of Europe. In the first line of the news release about her visit, Trump is identified both as first daughter and assistant to the president. But in the body of the agenda, she's only named as first daughter. She also makes the Time 100 list. She cancels her book tour "out of an abundance of caution and to avoid the appearance of using my official role to promote the book," establishing the Ivanka M. Trump Charitable Fund to donate her advance and book profits. April 21: She, alongside her dad, her husband and aide Dina Powell, meets with Aya Hijazi in the Oval Office. Politico reports that Ivanka Trump has hired a chief of staff, Julie Radford, who used to work for Bush-era Education Secretary Margaret Spellings. Did Trump Bomb Syria Because Ivanka Told Him to?